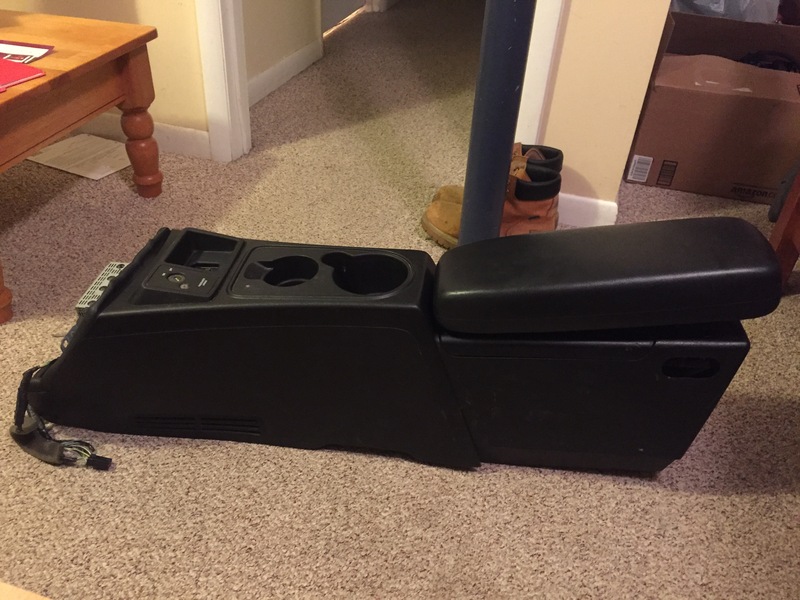 Hey everyone, I'm looking to sell a rare factory center console with subwoofer and amplifier already built in. This is right from Ford and is for the Rangers, but I barely come across them. It came out of a 2004 Ford Ranger fx4. I bought it off of someone with the intention of installing it, but I came across another subwoofer setup that I went with (down firing 12" subwoofer for the extended cab). I was told this is fully functional. The arm rest looks to be ripped off, but maybe you can put it back together. An important note is that if you have the same armrest and center console, you can use that for this extension with the subwoofer. I'm not sure how it connects, this is how I picked it up. Let me know of any interest! You definitely don't come across these often! How much? I'll buy it! There's a Facebook Ranger site? What's the name of it? I can't seem to find one. Yeah! It's called Ford Ranger Crazy. 6,600 members, pretty active place. How to remove factory center console/cup holders?